A lot of people mocked George Bush when he proclaimed “mission accomplished” after the US invasion of Iraq. Well, perhaps it was a bit premature, but time is proving him right, as these reports show. Across the Middle East, it is the same story of despairing – sometimes frightened – Christian minorities, and of an exodus that reaches almost Biblical proportions. Almost half of Iraq’s Christians have fled their country since the first Gulf War in 1991, most of them after the 2004 invasion – a weird tribute to the self-proclaimed Christian faith of the two Bush presidents who went to war with Iraq – and stand now at 550,000, scarcely 3 per cent of the population. More than half of Lebanon’s Christians now live outside their country. Once a majority, the nation’s one and a half million Christians, most of them Maronite Catholics, comprise perhaps 35 per cent of the Lebanese. Egypt’s Coptic Christians – there are at most around eight million – now represent less than 10 per cent of the population. The invasion was calculated to destroy Christian communities and to make sure that radical Islamists had more say in the running of the country, and that is being achieved. So what really lies behind the decision by Iraq’s high tribunal to pass a death sentence on Tariq Aziz, long serving Iraqi foreign minister and number two to Saddam Hussein? The decision has caused shock waves around the World, largely because the sentence has the feel of vengeance to it. The Iraqi High Tribunal took what must be a highly unusual step in effectively rescinding the earlier judgments against him. For Tariq Aziz’s twenty seven year sentence has effectively been reduced to a matter of months by his death sentence. Aziz has now been found guilty of “the persecution of Islamic parties”, whose leaders were assassinated, imprisoned or forced into exile. Now I don’t think harrassing leaders of Islamic parties (or anyone else) is a good policy, but nor do I think that the assassination, imprisonment or sending into exile of Christians is a good thing either, and that is one of the chief “accomplishments” of George Bush’s mission. Replacing one evil regime with another is really not a useful exercise. 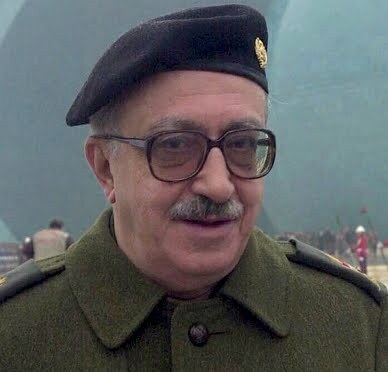 Tariq Aziz is of course a Chaldean Christian, who along with the Assyrian Christians, have suffered terribly since the War, with more than half of their number now living in exile. Being the only Christian in a secular Ba’athist dictatorship was a factor apparently exploited by Saddam, with veiled threats being made periodically to Aziz’s family. I remember being in Iraq and hearing that Aziz feared Saddam, and that he was only too aware of the fragility of his family’s safety. Which is not to excuse Aziz for “following orders”, but it may go some way to explain why Aziz stayed in Baghdad even when it was obvious to him, if not Saddam, that America and Britain were deadly serious about invading. The destruction of Christian communities in the Middle East surely cannot be described as an unintended consequence of the invasion. It was both forseeable and foreseen, and therefore must have been intended. It is an integral part of the Bush-Blair legacy. It is said that one should not ascribe to malice what can be explained by ignorance and stupidity, but the leaders of the most powerful nation on earth cannot have been that stupid…. can they? What can one say but “We told you so”? Hat-tip to The Western Confucian: Paul Craig Roberts Asks, “What’s It All About?”. The media have been going to town on Barack Obama’s clinching of the US Democratic Party’s nomination as presidential candidate. The South African media, in their usual racist fashion, have concentrated on the superficialities — the colour of Obama’s skin. That says more about South African society than it does about the US presidential election — it shows that nearly 15 years after the end of apartheid, we are still obsessed with race, to the exclusion of other considerations. in his sudden back-tracking on peace by announcing that he wouldn’t talk to Hamas, showing that the “change you can believe in” hype was just that – hype, and that underneath, once he had secured the nomination, he was reverting to the same old image of the warmongering USA, bully boy of the world. Both of these pieces offer smart insights about why Clinton lost, and it’s hard to dispute the salience of any of these factors. But neither the Journal nor Alter give significant consideration to an additional factor that may have been more important than any other: Clinton’s vote to go to war in Iraq. Even before this latest batch of stories, the media’s efforts to explain Clinton’s struggles have consistently downplayed Iraq, as bloggers like The Atlantic’s Matthew Yglesias and Atrios have pointed out. It’s hard to remember now, but last year, when he was a dark-horse challenger, Obama’s consistent opposition to the war, along with Clinton’s vote for it, provided much of the rationale for his long-shot candidacy. Without that black-and-white contrast, it’s doubtful whether his insurgent campaign could have gotten off the ground. Barack Obama has won the race for the Democratic nomination for president against Hillary Clinton on the issues. Sort of. This is not what the pundits will tell you, who would rather focus upon the most superficial and trivial aspects of the two final candidates’ style, personality, associates, personal history, and campaign organization and strategy, not to mention race and gender. This is not what many on the left will say either, in recognition of how little differences there were between the two candidates’ stated positions on most policies. The essential difference between Barak Obama and Hillary Clinton is found in their use of the first person pronoun. Listen to Hillary and you hear the first person singular used over and over. ‘I will . . . ‘ ‘I have . . . ‘ I – I – I. The second person plural pronoun is also used differently. Clinton says she will do things for you. Obama says he will enable you to do things. Now I’m not a fundi on US politics, and as I’ve noted in my blogs, I sometimes find it difficult to understand American culture, but until Obama capitulated to the Israel lobby last week, I thought he might be the better of the two. I do have a stake in American politics — after all, as a result of George Bush’s warmongering and other policies we are paying a lot more for fuel and food. So it would be nice to be able to believe in change, and that makes Obama’s backpedalling even more disappointing. Obama and Hillary Spin a ‘Big Lie’ About Iraq | War on Iraq | AlterNet: “On the campaign trail, the two candidates often speak of bringing the troops home and ending the war, and Democratic primary voters, 80 percent of whom want U.S. troops out of Iraq within 12 months, reward them with boisterous applause. It seems that no lessons have been learned from the Iraqi-American War, which has dragged on for five years now. It is said that Hermann Goering complained to the Nuremburg tribunal that they were on trial because they lost the war. And the answer was that they were not on trial because they lost the war, but because they started it. after five years of war, it seems that no real lesson has been learned. Indeed, there’s a refusal to even acknowledge why it was wrong to invade Iraq. Sure, there’s lots of criticism of the Bush administration for poor war planning, and for squandering US lives and “treasure”. All this is true, but it skirts a more fundamental problem — one that was barely mentioned in all the fifth-year anniversary commentaries last week — that the invasion was a war of aggression carried out in defiance of international law. None of this seems to concern Senator Hillary Clinton, who stands a good chance of being the “anti-war” candidate in the US presidential election. Of course, Clinton voted in 2002 to authorize an invasion of Iraq. And Goering’s is the lesson that many US supporters of the Iraqi-American War have failed to learn. They like to talk about “appeasement”, but forget that in the 1930s the ones who were being appeased were the aggressors. In the case of the Iraqi-American War the appeasers were people like Tony Blair, who appeased George Bush, and did not stand up to his plans for aggression. And Hillary Clinton apparently went along with her husband’s bombing of Yugoslavia. Let this be a kind of postscript to the Blogswarm post of the 5th anniversary of the beginning of the Iraqi-American War, to which there is no end in sight. Did the neocons think about this when they unleashed the dogs of war in Iraq? Do they care? One ancient Christian Church will have no difficulty identifying with the Passion of Jesus during Holy Week: Iraqi Christians, who – thanks to Muslim persecution and Western indifference – may be forced underground, as they were in the days of the Roman Empire. Thousands of Iraqis attended the funeral of Archbishop Paulos Faraj Rahho, whose remains were discovered two weeks after his kidnap. A few years ago, the crowds would have been bigger. That is because half of all Iraq’s prewar population of 1.2 million Christians have left the country since the invasion of the country. Did that possibility ever occur to the American neocons? Do they even care? Hat-tip to the Western Confucian. The Iraqi-American War started five years ago today, and the end is not in sight. It seemed that nothing could be more unnecessary and insane than Saddam Hussein’s invasion of Kuwait, until George Bush II trumped it by invading Iraq. Truly the world seems to be run by lunatics. Just about every reason or excuse George Bush gave for invading has proved to be false. There were no weapons of mass destruction. American apologists for Bush’s insane behaviour like to say that the Iraqis are better-off than they were under Saddam Hussein. But how much better off are they? The war that was launched in Iraq five years ago has produced one of the largest humanitarian crises of our time. Yet this crisis is largely hidden from the public and ignored by the international community. More than four million Iraqis of different religions, ethnicities and backgrounds are estimated to be uprooted by horrific violence and death and are in dire need of help. About half have fled to Syria, Jordan, Egypt, Lebanon and elsewhere in the region. Because they are not huddled together in a camp or traveling as a group across a windswept plain, these refugees are not receiving the attention and help they deserve from the international community. Much of the reporting about them has been wrong, perpetuating myths that they are wealthy or that the crisis is over and that many are returning to their homes in Iraq. The solutions put forward by major donors have been wholly inadequate. Meanwhile, many of the refugees have been severely traumatized and now lead desperate lives in foreign cities such as Damascus, Amman, Cairo and Beirut. There is one other thing that the invasion seems likely to achieve, though — the eradication of Christianity from large parts of the Middle East. It survived Zoroastrianism, it survived under Islam, it survived under Saddam Hussein, but will George Bush finally finish it off? Perhaps that will be George Bush’s legacy, and what he will be remembered for in time to come. This posting is part of a Blogswarm on the fifth anniversary of the beginning of the war. Britain’s biggest teachers’ union has accused the Ministry of Defence of breaking the law over a lesson plan drawn up to teach pupils about the Iraq war. The National Union of Teachers claims it breaches the 1996 Education Act, which aims to ensure all political issues are treated in a balanced way. Teachers will threaten to boycott military involvement in schools at the union’s annual conference next weekend, claiming the lesson plan is a ‘propaganda’ exercise and makes no mention of any civilian casualties as a result of the war. … and a week after military personnel at a base near Peterborough were advised not to wear their uniforms when going to town, because of the hostility of the general populace to the war. The media were presenting this as something bad because military personnel should be proud of their uniforms, but everything that has happened over the last few years suggests that they should be ashamed of wearing them, and this report reinforces that impression.